1. 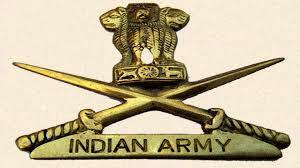 Soldier (General Duty) - Minimum 10th class passed with 45% marks in aggregate and minimum 33% marks in each subject. No percentage considered in case candidate has passed higher qualification i.e. 10 + 2 and above (vocational streams not acceptable). 2. Soldier (Technical) - (aa) 10+2 / Intermediate Exam passed in Science with Physics, Chemistry, Maths and English with 50% marks in aggregate and 40% marks in each subject. 4. Soldier Clerk / SKT - Should have secured 50% marks in each subject and 60% marks in aggregate in 12th class. Should have studied English and Maths / Accounts / Book Keeping in 12th class or 10th class and should have secured minimum 50 % marks in each of these subjects, whether studied in 12th class or 10th class. Even if a candidate is a graduate or has a higher qualification, percentage marks scored in 12th class would be applicable towards his eligibility. 5. Soldier (Nursing Assistant) - 10+2 / Intermediate exam pass in Science with Physics, Chemistry, Biology and English with minimum 50 % marks in aggregate and minimum 40 % marks in each subject. OR In case the candidate has a “B.Sc Degree with (Botany / Zoology / Bio Science) and English, the stipulation of percentage in 12th class is waived off. However, the candidate should have studied all the four specified subjects in 12th class also. 5. Soldier (Nursing Assistant) - 17 years and 06 months to 23 years as on 01 October 18. (Born between 1st October 95 to 01 April 01).